Hello! I will be working in New York City until at least the end of December, and need to find temporary housing for that time, as my current lease is up :(. 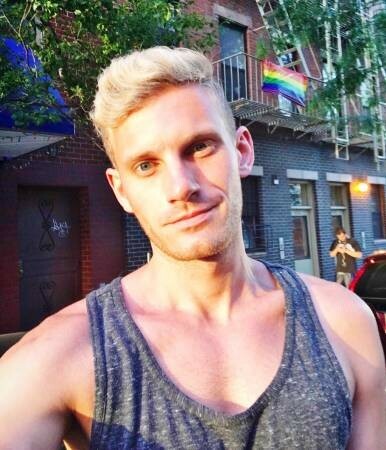 My name is Erik, I'm 26, gay, and work in medical tech consulting. I was hoping to find a nice temp housing / sublet situation, either alone or with other gay-friendly roommates. I'm a work hard play hard type and prefer roommates that are similar and would be fun to live with and maybe even hit the town with but still responsible, like I am. Hopefully someone clean and respective about community areas, but not neurotic. Sense of humor is also great. I love board games, camping, volleyball, brunch, wine nights, going out, netflix, and laughing a lot - and am very friendly and very adventurous. I'd prefer the apartment be in the Hells Kitchen or Lower East Side areas, but am open to all of manhattan and maybe slightly outside of Manhattan. Looking to move in as soon as September 1st, and stay until the end of December (could be extended if you were interested). Let me know if it sounds like it might be a good fit, and if you're interested in rooming, please send me a little blurb about yourself and preferably a link to your social media, and obviously - information about your apartment, costs, etc. I'm also interested in single person studios if you have that available! I'm readily available this week to meet and tour the apartment. If this ad is still up, I'm still looking ;).